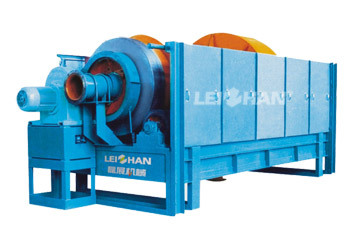 Leizhan drum screen machine is usually used after H.C. Pulper or impurity separator, to screen out various kinds impurities such as plastics, rubber, rocks, metals and film in continuous pulping and discharging system. Leizhan ZST series drum screen machine is mainly composed of screen drum, vat, driving roller, inlet trough, and shower pipe. As the screen drum rotates, the stock is pushed forward. Then accepts and small impurities will enter the stock vat by the force of gravity, while the large impurities will be discharged along the track of the screw board. The fiber adhered to the impurities is washed off by water spraying device to keep fiber loss to a minimum. The drum screen is often used together with hydrapulper to screen out coarse impurities, improving the purifying efficiency of process. Due to our consistent focus on product improvement, Leizhan drum screen machine is of simple structure, safe operation and high screening efficiency.